Wow! That was a bounce. In the words of Mr. Castanza “I’m back…baby!“. Or if you want something a bit more modern….”Chewie…we’re home!”. 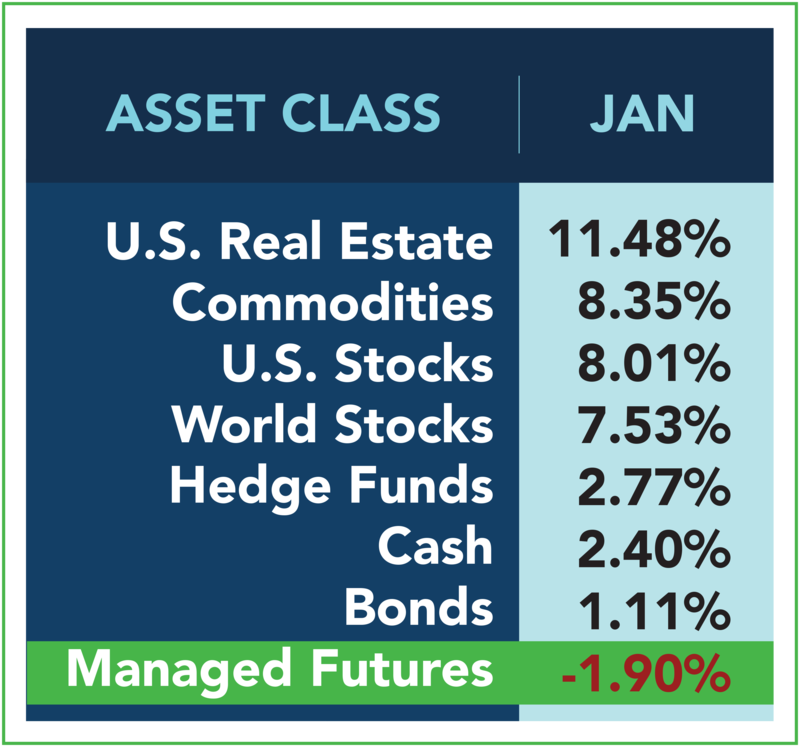 Either way, investors rushed to remember what a positive month looks like after basically every asset class was down in 2018, with stocks flirting with a rare double digit gain while real estate managed the feat. Managed futures, meanwhile; found themselves on the wrong side of the trend reversal, fighting to limit losses on the month. 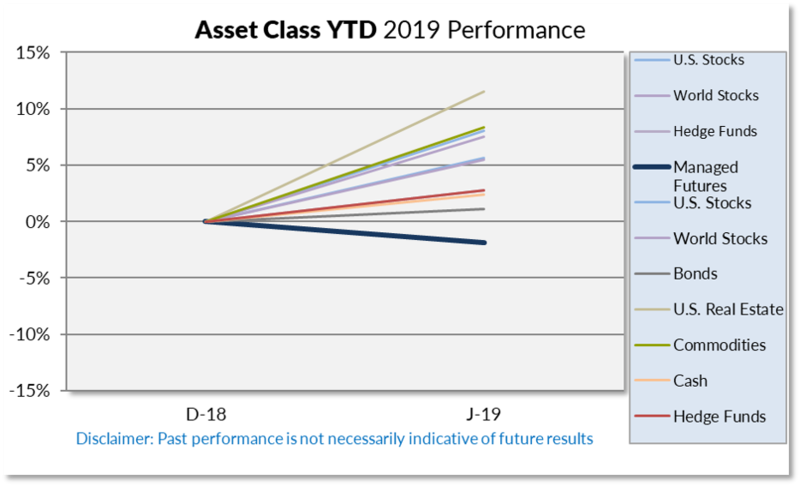 One thing we’re sure of, this chart won’t look the same come the end of 2019 as it does now at the beginning.